Students have experience dealing with conflicts and feel reasonably safe and supported in doing so. The class works together to identify and solve problems that interfere with learning. While the teacher is still in charge, there is a shift to shared responsibility for behavior management. It becomes more of a team effort, with most of the students on the team. Through restorative practices students’ needs for social and emotional learning are supported in positive ways. Over the course of a year this growth can be as observable as growth in academic skills and knowledge. Conflicts are often managed by gathering in circles, following circle guidelines, and using restorative questions as a framework for a dialogue in which understanding is reached and there is opportunity for creating mutually acceptable agreements about how to make things right. These indicators do not usually emerge in a strictly linear process of steady progression. Often it’s more like “two steps forward, one step back.” It can be frustrating to watch a student successfully resolve an issue using a restorative dialogue, then almost immediately stir up some new trouble. The temptation is to think that the learning is not taking place; but this is probably not the case. Instead, think of students who are learning restorative practices as conducting their own research into what works and does not work for them. An important research tool is to compare and contrast various methods. A student may try a restorative approach for a while then revert to something less helpful. The trouble that we thought was in the rear view mirror is back in front of us again. Please don’t give up! Consider what would happen if we gave up on mathematics because students don’t solve all problems correctly. Would we then say, “Obviously, math doesn’t work!” and give up? 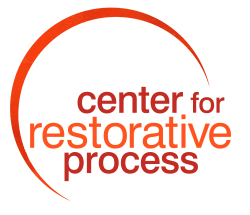 As with academic subjects, social and emotional learning (including restorative dialogue) is an iterative process in which setbacks are best viewed as opportunities for inquiry and clarification. When we realize that this is the case, we can see that “failures” are inherent in how learning happens; then we can perhaps engage repeat offenses with curiosity and inquiry, rather than frustration and judgment. Classroom circles as described in the pages that follow are an ideal format for this inquiry. The learning process can be accelerated by acknowledging this inquiry frankly, and then inviting students to use circle time to compare and contrast their own social strategies. After gaining some experience with restorative practices, try putting questions like these into the center of the circle, and let the talking piece go around. What has worked well for making friends? What have you found works for solving problems between friends? What can people do to prevent misunderstandings? There are many other possible questions. The key is to ask questions that are truly meaningful to students…often the unspoken questions that are at the core of each student’s social life. These questions drive what is sometimes called the “implicit curriculum;” simply making them explicit by bringing them into circle is one of the most skillful methods of social/emotional pedagogy.